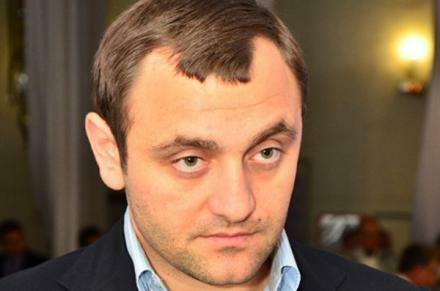 Interpol operatives detained Armen Sarkisyan in France; the man appears to be the one behind the beatings of Euromaidan participants during the Revolution of Dignity in Kyiv in February 2014. He is believed to be the curator of Yuriy Krysin, the one who was among the murderers of reporter Vyacheslav Veremiy in Kyiv during these events. Anton Herashchenko, the Ukrainian MP posted that on Facebook. 'Now it's up to the Prosecutor General's Office. Prosecutors will have to send the package of documents necessary for Sarkisyan's deportation to Ukraine', he wrote. Sarkisyan was detained during the check of IDs as he was on the road. The court ruled that the detainee should live up to the legal precepts by May 19. By then, the documents from Ukraine should reach France. Yuriy Krysin is the defendant in the case of the murder of Vyacheslav Veremiy, the reporter of Vesti newspaper. The journalist was beaten up and shot dead in the downtown Kyiv in February 2014, as the government-hired thugs and Berkut riot police hunted down the activists of Euromaidan movement. On March 29, the court ruled that Krysin will remain in custody for two months.